CMT’s IT Governance and Compliance practices evaluate the breadth of an organization’s information security governance model; tests the effectiveness of policy and procedure implementation; and determines compliance to internal and external audit frameworks. a realistic action plan for closing compliance gaps. 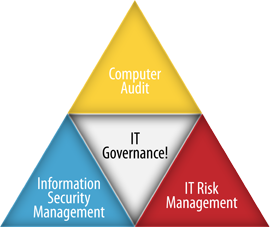 Contact CMT to learn more about our IT Governance and Compliance Services.